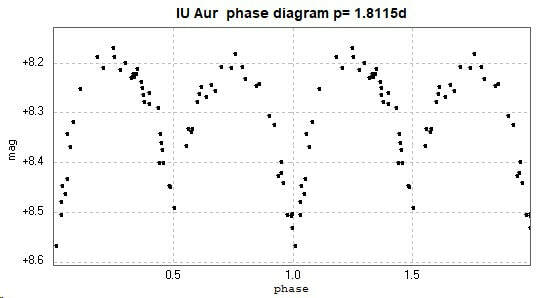 Light curves and phase diagrams for the EB type eclipsing binary IU Aurigae / IU Aur. 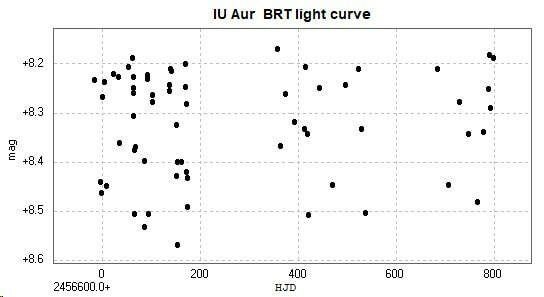 The following light curve and phase diagram were constructed from photometry of 64 images taken with the Bradford Robotic Telescope Cluster Camera ('BRT', a 63mm f3 lens) between 2013 October 17 and 2016 January 11. The images were unfiltered. 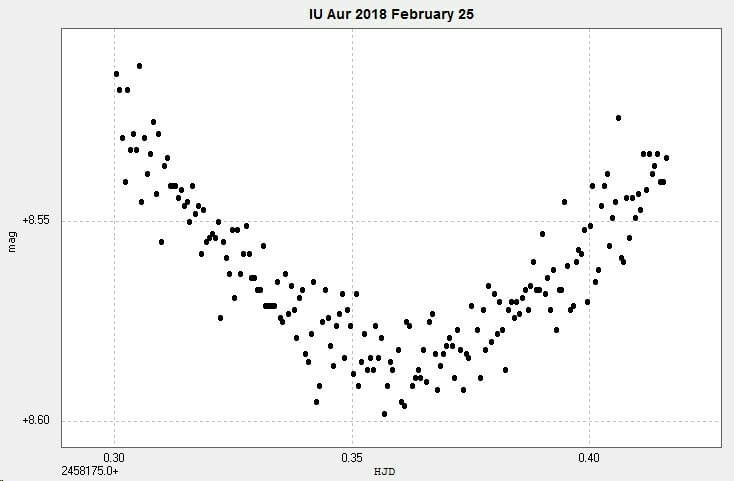 A primary minimum was observed with the 2" Titan at Somerby Observatory on 2018 February 25. The images were unfiltered. The time of minimum was calculated by Peranso's Kwee-van Woerden implementation (http://www.cbabelgium.com/peranso/). The above two sets of data were combined into the following light curve and phase diagram, the BRT data in black and the Somerby data in red. Note that neither set of data has been transformed, hence the apparent magnitude range in the diagrams is only approximate. 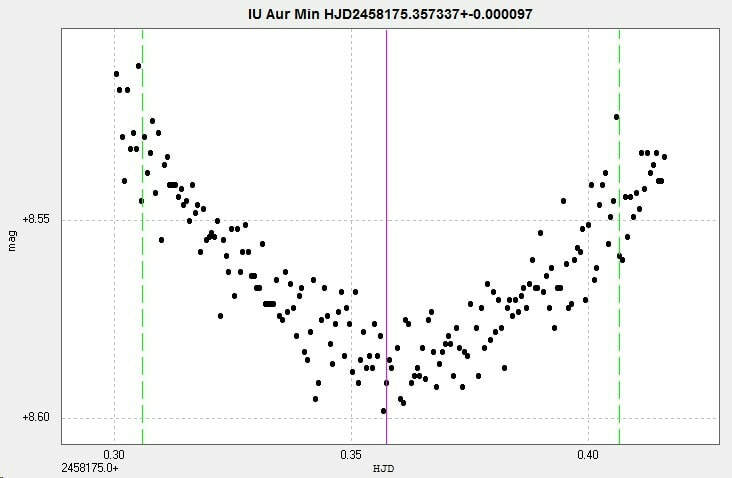 The catalogued period for this star is 1.81147536d (AAVSO VSX), 1.811468d (Kreiner) and 1.81147435d (GCVS). (Accessed 2018 March 2). There is little o-c activity evident with this star (Kreiner).